In the previous section we pondered how it is nonsensical to say that a food desert is causing everyone, and certain people in particular, to get more adipose and more of the diseases associated with more adipose. Rather, we found that the more obvious answer is also the correct answer. People are becoming fatter and more unhealthy because of our food abundance. Not because we live in a food desert but because we all live in a food oasis. In addition to the Food Desert Hypothesis, various academicians and other groups have put forward another hypothesis to explain our current food situation in the United States. This is the “Food Insecurity Hypothesis.” I will touch upon this topic briefly, as it is only obliquely related to obesity and its associated diseases. The main reason I am bringing it up is that it has arguments that make mistakes similar to the Food Desert Hypothesis. By answering a certain amount of these questions yes and quantifying those yesses accordingly, a family or individual (around 54,000 individuals were questioned in 2013) can be deemed to have “low” food security or “very low” food security. Based on the responses, the authors concluded that 8.7% of U.S. households have low food security and 5.6% have very low food security. 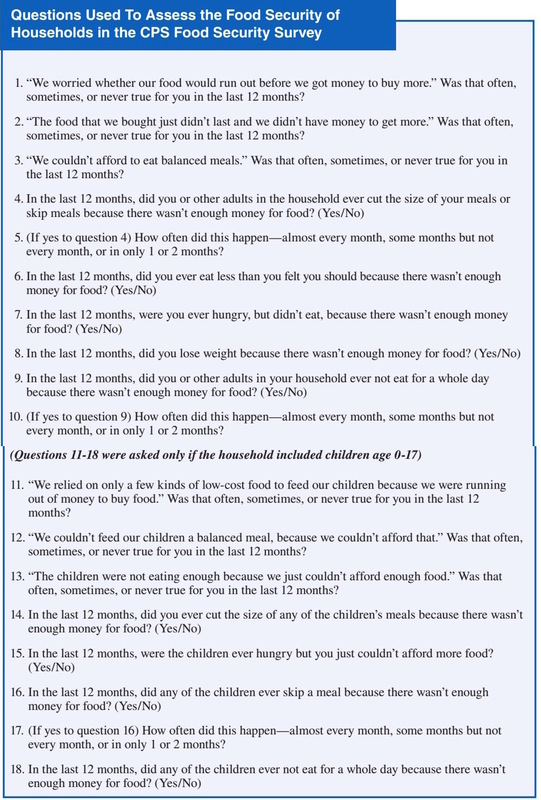 Since all of these questions have to do with food acquisition presumably in the context of money, it is helpful to consider the poverty rate in the United States. In 2013, at the time of this study, the poverty rate was 14.5%, or around 45 million people. In this context, “poverty” is defined as around $23,854 for a family of four. 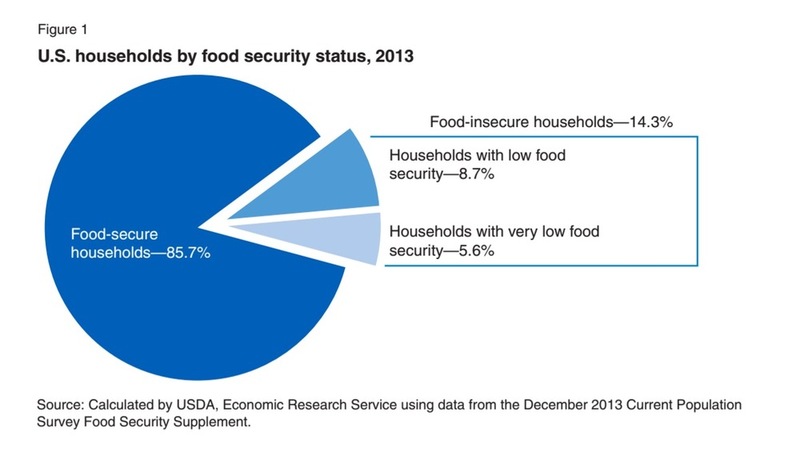 Food insecurity has been measured as roughly the same as the rate of poverty, or about 14.3%. Earlier, I mentioned that the claim of the Food Insecurity Hypothesis is startling. Now, no one is questioning that it is likely quite challenging for a family of four to get by on $23,000 a year (though I know of a family of three that flourishes on that sum). And onward in this manner for eighteen total questions (again, the complete list is above). But of course this creates a paradox. Insufficient money to buy food would lead to insufficient food. And insufficient food would lead to starvation, or at least caloric deficit. But, as we all now know, obesity is on the rise, particularly in the demographic that the food insecurity studies cite as being the most insecure. Thus, the Food Insecurity Hypothesis, like the Food Desert Hypothesis, surmises as its central tenant that low monetary resources lead to a lack of healthy food. And lack of healthy food leads to obesity. However various other researchers and advocates of the Food Insecurity Hypothesis have also hypothesized other, more subtle links between monetary resources and obesity. All of these hypotheses are mildly convincing at first blush and some of will be addressed further in part two. Yet, most of these hypotheses make little sense after a little bit of critical thinking. And none are sufficient to explain the obesity demographic paradox when considered on their own or together without the abandonment of the central tenant of the Food Insecurity Hypothesis. Let’s look at a few of the common ancillary hypotheses, such as those espoused by the FRAC. Food insecurity causes cycles of food deprivation and overeating: Varying food intake is actually a good thing. Intermittent fasting, such as limiting food intake to eight hour windows, has numerous health benefits. So does skipping a meal. So does skipping a meal for more than a day at a time. The argument sometimes goes, “if you skip a meal, you will overeat when you do eat.” But it is incredibly hard to overeat on healthy foods. Remember those $0.59/pound bananas and around $2 per four ounces of sardines? How much overeating is anyone doing on bananas and sardines? Conversely, as will be discussed in part two, no matter how full you are, you can usually still down a bag of Doritos ($5.04 for a 10.5 ounce bag) or Coca-Cola ($42.95 for 12 oz, 32 count). 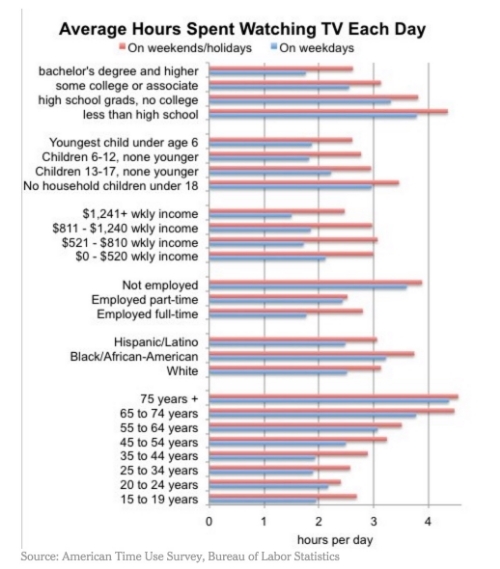 What do you think these demographics are consuming? Something akin to bananas and fish or soda and chips? Food insecurity causes high levels of stress, anxiety, and depression: there may be something to this one. Stress, anxiety, and depression certainly can play havoc on hormones, which can theoretically lead to adverse adipose deposition. However, regardless of how stressed or depressed one is, fat deposition cannot occur without the requisite energy consumption. Furthermore, while people in marginalized demographics surely face financial stress, as well as other stresses, psychological stress has been part of the human condition for most of time, yet obesity has only risen with the onset of the food oasis. Lastly, while the brain surely is “the body’s pharmacy” and has tremendous power, the focus here is inverted. The problem is not so much that our brains cause us to get fat. The problem is that the things that cause us to get fat, such as eating suboptimal food and getting insufficient physical activity, tend to make us stressed, anxious and depressed. In fact, for many individuals, stress, anxiety, and depression are likely another manifestation of the metabolic syndrome. People become obese in the context of food insecurity because there are fewer opportunities for physical activities: If the concern is that it is too dangerous to play outside, we have pointed out earlier that this doesn’t match the evidence, as even most inner cities are getting safer, and everything is trending towards more safety on average. Some arguments have been made that it is because poorer demographics have less organized team sports available. But this is somewhat of a misleading argument, as too much organized team sports (or at least enough to cause enough physical activity to cause any weight loss) will likely cause more physical harm than good. The main reason that this argument fails, however, is that even though physical activity is great for one’s health (particularly things like long slow walks and intermittent exertion like sprints and weight lifting), it is absolutely abysmal at weight loss. Consider how many calories it takes for an adult male to run a mile. About one hundred. This is not even a twelve ounce Coke (140 Calories). And as you get in better shape, you actually burn less because your body becomes more efficient at exercising. If you need to cut weight, you don’t do it on the field or in the gym. You do it in the kitchen. (Of course this assumes your kitchen is stocked with (whole) milk, honey, pork, bananas and sardines; not Funyuns and Sprite). People become obese in the context of food insecurity because there is a greater exposure to marketing of obesity-promoting products: the authors are absolutely correct about this one. Marketing is amazing. I like to think that I am immune to it, but I’m not. I’m just not exposed to it much because I don’t have cable or watch much television at all. However, all it takes is for me to watch one football game at a friend’s house and the commercials that I see out of the corner of my eye are sufficient for me to all of the sudden realize that there’s a whole load of junk that I now cannot live without. And I don’t think I’m alone. This indeed is a major problem. And this is compounded by the fact that people in the poorest demographics also tend to watch the most television. Fortunately, there’s an easy solution to this problem. If you have cable, cancel it. It’s expensive and it rots your brain. Instead, read a book. Books can be had for free from the public library. And there is a surprising lack of advertisements in these books. Problem solved. The same demographics associated with increased adiposity are those that watch the most television. Television still appears to be the most powerful source of advertisement for energy dense and nutrient poor foods. As is hopefully obvious, all of these attempts at trying to reconcile the Food Insecurity Hypothesis to adiposity and its associated diseases comes up lacking, except of course for the part tied to exposure to marketing. Perhaps the greatest problem with the Food Insecurity Hypothesis is that it makes some of the same fundamental errors as the Food Desert Hypothesis. In fact, it oftentimes incorporates parts of the Food Desert Hypothesis whole cloth into its conclusions. This finally brings us to the final critique. Is it good science to state that people are “Food Insecure” based on a questionnaire such as this? The answer is a strong no. Retrospective questionnaire based studies, particularly in regard to food or any other activity, such as “how much to you exercise” are notoriously inaccurate. The fact is, most people do not recall what they ate yesterday, not to mention what their eating trends were over a three or six month history. Furthermore, what does it mean to be food insecure? Surely this does not mean starvation. We are fortunate in this country that, if you subtract out neglected children and other dependents, those who do not eat because of substance abuse, those with psychiatric eating disorders such as anorexia, and those with wasting diseases such as cancer, virtually no one in the United States starves, or even develops calorie or protein deficiency. 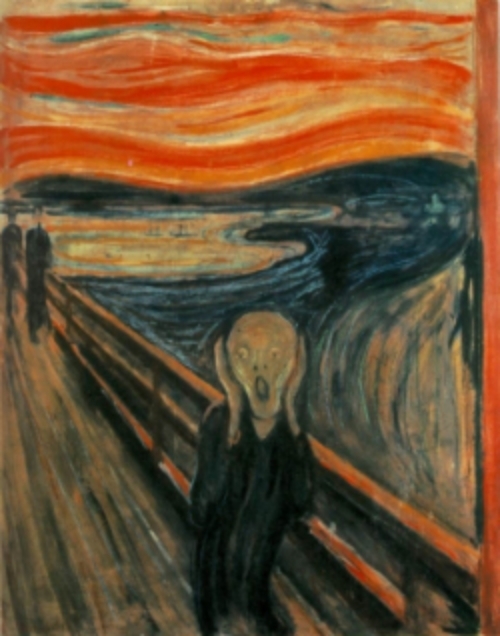 The Scream, painted in 1893 by the Norwegian Expressionist Edvard Munch. The horror and angst expressed in this painting are felt by many in the United States secondary to many causes. Chief among them is anxiety and insecurity related to money, oftentimes for very understandable reasons. Monetary insecurity is a very real thing that our society has yet to fully extinguish. Yet, while there are various types of legitimate insecurity in the U.S., we are fortunate that food insecurity, as described by the Food Insecurity Hypothesis, does not exist to a significant extent domestically. Thus, perhaps the main take away from the Food Insecurity Hypothesis has less to do with food and more to do with insecurity. Obesity, lack of physical activity, lack of muscle mass, prolonged television exposure, lack of sunlight (and vitamin D), and lack of nutritious food (which is not eaten for whatever reason), are all associated with an increased chance of anxiety. Combine this with many of the other stresses associated with poverty including lack of a sense of purpose, lack of a mastery of a skill, and lack of a sense of autonomy, and it is no wonder that individuals in these positions feel insecure. Monetary problems are a real thing. Monetary insecurity is a very real thing. And insecurity in general is a real thing. Moreover all of these are especially real, and further augmented, if the people who suffer from them are also exposed to any of the numerous physiological causes of anxiety. 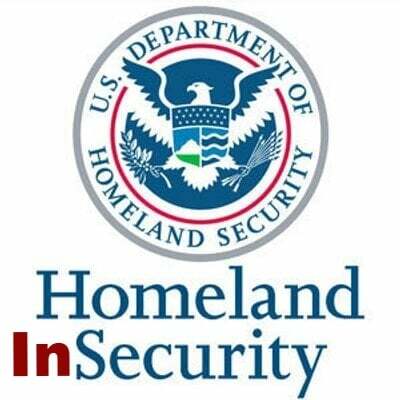 Thus, while all of these sorts of insecurity are real, food insecurity in the United States is, as described, not real. This is why the Food Desert and Food Insecurity Hypotheses are dangerous. They divert our intellectual and physical energies down false roads. The United States will not solve its obesity epidemic by abolishing the food desert. We don’t have food deserts. Nor will it solve this problem by eliminating food insecurity. This is also something that we do not have. Here are problems we do have. Too many of us spend all of our time holed up inside. Too many of us are wasting away while hypnotized in front of a box spewing preternaturally-influential marketing. Too few of us know how to cook. Too few of us know how to take long walks outside or how to lift weights. And too few of us possess all the other explicit and tacit knowledge necessary for leading a healthy, happy life. Just battling these problems will require tremendous talent, intellect, and energy. Our energies cannot also be spent trying to tease out the reasons for the existence of things made up. We need to focus on things that exist. We need to focus on real problems. And these real problems are legion.